We utilize technology to help our guests understand the science behind their smile. We take time to explain what your options are, and why some treatment plans are better than others. Just like you, we don't like surprises. With a great plan, we can create a strategy that will solve problems, shorten recovery time, and meet your financial situation. There are no surprises. Electronic impressions used for crowns. No mouth full of goo, this technology takes away the gag factor. Digital x-rays for check ups and cleanings. Speeds up the appointment time, and allows you to see what we see. High-res photos of your mouth. 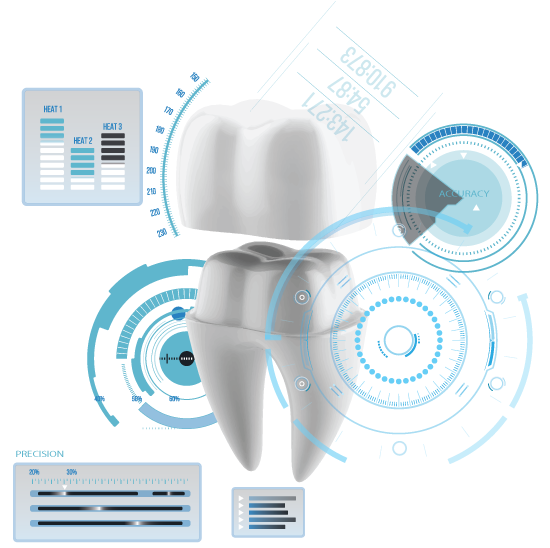 Enhances our ability to educate and inform you about what is happening to your teeth.